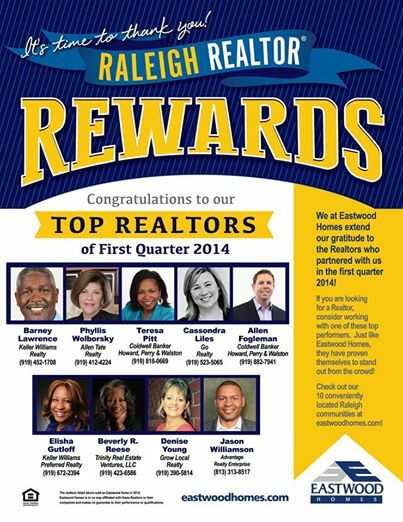 Congrats to the Top Raleigh Realtors from the first quarter of 2014! Congratulations to the TOP REALTORS for the first quarter in our Raleigh Division! Contact an Eastwood Homes Representative to find out how YOU can be the next featured Realtor!